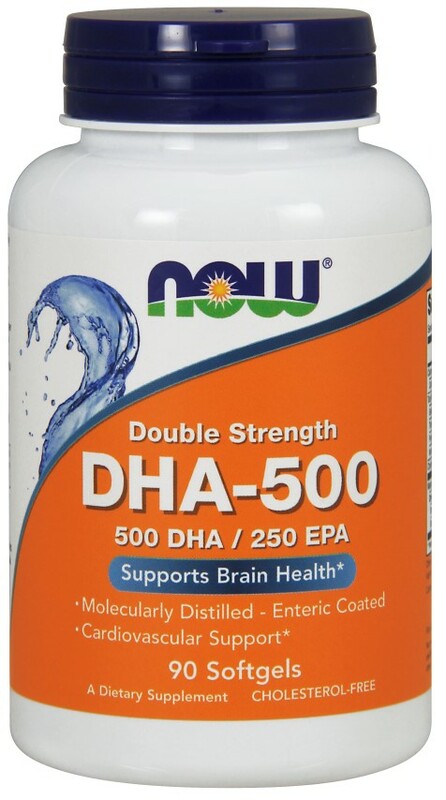 NOW DHA-500 is a potent new enteric-coated fish oil supplement that has been introduced to meet the needs of individuals seeking higher concentrations of DHA. The Natural Fish Oil Concentrate used in this softgel is manufactured under strict quality control standards. It is tested to be free of detectable levels of potentially harmful contaminants (i.e. mercury, heavy metals, PCB's, dioxins, and other contaminants). Suggested Usage: As a dietary supplement, take 1 softgel 1 to 2 times daily with meals. Consider taking this product in combination with NOW Brain Elevate, Phosphatidyl Serine and DMAE.